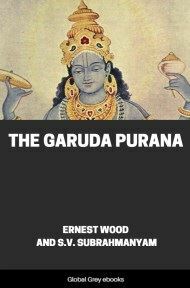 This is a translation of an abridged version of the Garuda Purana. The Garuda Purana is one of the Vishnu Puranas. 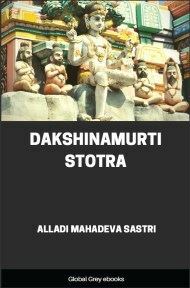 It is a part of Vaishnavism literature corpus, primarily centering around Hindu god Vishnu but praises all gods. 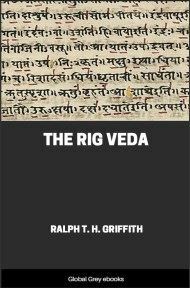 Composed in Sanskrit, the earliest version of the text may have been composed in the 1st millennium CE, but it was likely expanded and changed over a long period of time. It is in the form of a dialog between Vishnu and Garuda, the King of Birds. 1. The tree Madhusūdana,--whose firm root is Law, whose trunk is the Vedas, whose abundant branches are the Purāṇas, whose flowers are sacrifices, and whose fruit is liberation,--excels. 2. 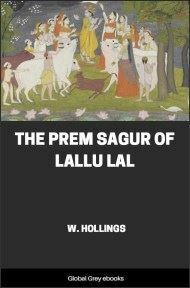 In Naimiṣa, the field of the sleepless Ones, the sages, Saunaka and others, performed sacrifices for thousands of years to attain the Heaven-world. Also of the miseries of the World of Change, and the means of destroying its pains. Please tell us correctly about the afflictions of this world and the other. 6. Suta said: Listen then. I am willing to describe the way of Yama, very difficult to tread, happiness-giving, to the virtuously inclined, misery-giving to the sinful. 7. As it was declared to Vainateya by the Blessed Viṣṇu, when asked; just so will I relate it, to remove your difficulties. Garuḍa said: The Path of Devotion, of many forms, has been described to me by you, and also, O Shining One, has been told the highest goal of the devotees. 10. Now I wish to hear about the fearsome Way of Yama, along which is the travelling, it is revealed, of those who turn away from devotion to Thee. 11. The name of the Lord is easily pronounced, and the tongue is under control. Fie, fie upon the wretched men who nevertheless go to hell! 12. Tell me, then, O Lord, to what condition the sinful come, and in what way they obtain the miseries of the Way of Yama. 13. The Blessed Lord said: Listen, O Lord of Birds, and I will describe the Way of Yama, terrible even to hear about, by which those who are sinful go in hell. Bewildered by many thoughts, enveloped in the net of delusion, revelling in the enjoyments of the desire-nature,--fall into a foul hell. 17. Those men who are intent upon wisdom go to the highest goal; the sinfully-inclined go miserably to the torments of Yama. 18. Listen how the misery of this world accrues to the sinful, then how they, having passed through death, meet with torments. 19. Having experienced the good or the bad actions, in accordance with his former earning,--then, as the result of his actions, some disease arises. 20. Powerful death, unexpectedly, like a serpent, approaches him stricken with bodily and mental pain, yet anxiously hoping to live. Lying encircled by his sorrowing relatives; though being spoken to he does not answer, being caught in the noose of death. 25. In this condition, with mind busy with the support of his family, with senses unconquered, swooning with intense pain he dies amidst his weeping relatives. 26. In this last moment, O Tārkṣya, a divine vision arises,--all the worlds appear as one,--and he does not attempt to say anything. 27. Then, at the destruction of the decayed senses and the numbing of the intelligence, the messengers of Yama come near and life departs. 28. When the breath is leaving its place, the moment of dying seems an age, and pain like the stinging of hundred scorpions is experienced.